Considering I've been away since last year, I decided to check on some old friends and acquaintances. One of them was Marylynn &quot;Rauri&quot; Kozar, a known leader within the clans. It took me a week to find her and she graciously agreed to an interview yesterday. The interview took place at 'The Cup' in West Athen. Because of the current state of our planet I took along Zeke , my Corporate Guardian and Tony Soprano, a clone of Carlo Pinnetti from the law firm of Pinnetti, Pinnetti, and Pinnetti. It never hurts to have legal counsel these days. Noticiero: Zeke, try to follow me without killing my guest this time, please? Noticiero: Good afternoon Mrs. Kozar, how are you today? Rauri: I am well, how are you. It has been ages since we last had a visit. Rauri: Would you care for something to drink? Noticiero: No thank you, I'm fine. Rauri: Let me know if you change your mind. Noticiero: Let me begin with a simple question. What happened to Opposing Force? it's been a long time since Op4 has been on the news. Have you gone underground? Rauri: Not intentionally though I am sure it seems that way. Rauri: I was needed on Earth and while I was away things were not kept up here on Rubi-ka so to speak. Noticiero: If I'm not mistaken, in the past your clan was military in nature. Has that changed? Rauri: We were very structured in the past, much has changed since my return from Earth. We are not so formal as we once were. We are small in numbers now and more of a family than an army. 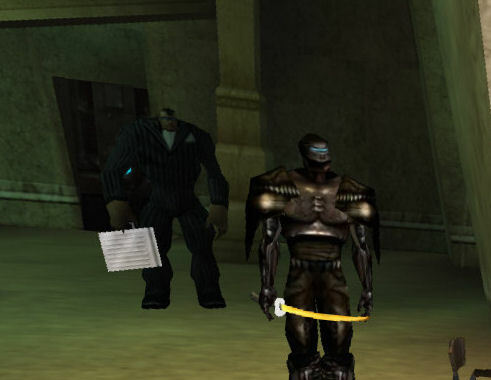 Noticiero: What are Opposing Force's current goals as a clan? Rauri: That is a good questions, we are only beginning to work that out. Much has changed on RK in the past few years and so we are gathering information on the current state of affairs. Rauri: Once we have become stronger I am sure you will see more of us in the news... though much less formal we are still very a passionate group of people. Noticiero: Do you have a city of your own? Rauri: Not yet, we are working on that. As you must know land is hard to find and very costly when it is available. Rauri: We do plan on a city in the future. Noticiero: Yes, a few billion credits last I checked. Noticiero: Has your organization joined the Council of Truth? Rauri: I have submitted an application, but have not heard back from anyone yet. Rauri: I have been following the news and it seems it is as unorganized as ever. Noticiero: Ah, these days things go a bit slow, with the aliens and dust brigade at every turn it seems. Rauri: Aye, I am sure. Noticiero: Looking at public records, most of your advisors are young and inexperienced with low combat ratings. Are these people currently in training or are they in that position temporarily? Rauri: Yes they are currently in training, which since returning has been our primary focus. We need to become strong again and training the best way to do that. Rauri: Sadomas and Hiddenq returned from Earth with me so they are seasoned and have taken on the task of making sure our new recruits are well trained. Noticiero: I do know Hiddenq, we've done some missions in the Shadowlands in behalf of the Redeemed, a good fellow. Rauri: Yes, he is a wonderful person, I could not do all that I do with out his help. Since Moons decided to stay on Earth he is now 2nd in command. Noticiero: Your clan had a very good reputation years ago; famous for taking the lead in the effort to clean up the toxic water in Tir. Are you planning any sort of community service as in the past? Rauri: As yet we have not found a cause to take on, but we do like to better Rubi-ka, so I am sure in the future we will be doing civic services again. Noticiero: How are your current relations with other clans? do you currently have allies? Rauri: Nothing formal, but we are often aiding and being aided by Infinity and Destiny. Wonderful people in both organizations and we hold them in the greatest regards. Noticiero: I did a reach on the gridnet and could not find your gridsite, it is restricted to members only or is there a public page where clanners could apply to join your clan? Rauri: We do have a board to post notes and keep in touch, at the moment our gridsite is having some issues and is down. I expect it to be up and going again by the first of the year. Rauri: http://op4ao.proboards85.com/index.cgi? is how we can currently be reached. Noticiero: Would you like to say anything to the rubikan public at this time? Rauri: Just that it is good to be home. When I left I did not expect to return, but after my husband, Flintforge, passed I just could not bear to be on Earth without and longed to come back to where we met. Rubi-ka is my home and I am glad to be back. Noticiero: My condolences on his passing, he was a good man. Noticiero: Thank you for your time Mrs. Kozar. Rauri: You are most welcome, I have enjoyed our visit, hope the next one will not be so long in coming. Noticiero: Have a good day. Rauri: You too sir, stay safe. There you have it. The return of Opposing Force and their leader to activity to strengthen the clans. It is a shame that Mr. Kozar passed away, since there is no insurance technology on Earth, once you're there, death is permanent. 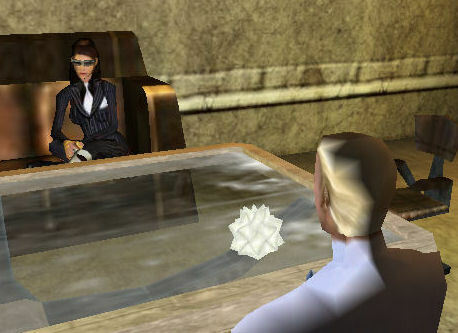 I do recall a few Omni-Tek departments who had serious feuds with Opposing Force in the past, I wonder if their old enemies will take notice of their return.